Every executive knows personal image is key to succeeding in the current cultural and business environment. Let a professional create a headshot which shows you mean business. Your corporate headshot is your image personified! 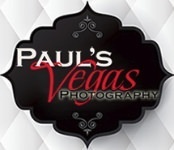 Paul's Vegas Photography can come to your event or office and shoot headshots with our portable equipment or we have a studio were you can have your staff come and get new updated headshots done. We specialize in high volume company head shots and have transformed the image of a number of large companies here in Las Vegas and national companies who are here for conferences.